As noted in Thu’s analysis, focus into the Fri’s auction on the developing Balance, 52s-50.60s, was key as selling interest drove price below Key Support, 50.60s, in stop clearing. Responsive buy programs entered, absorbing Supply, resulting in buyside rotation back through the multi-day Balance High. 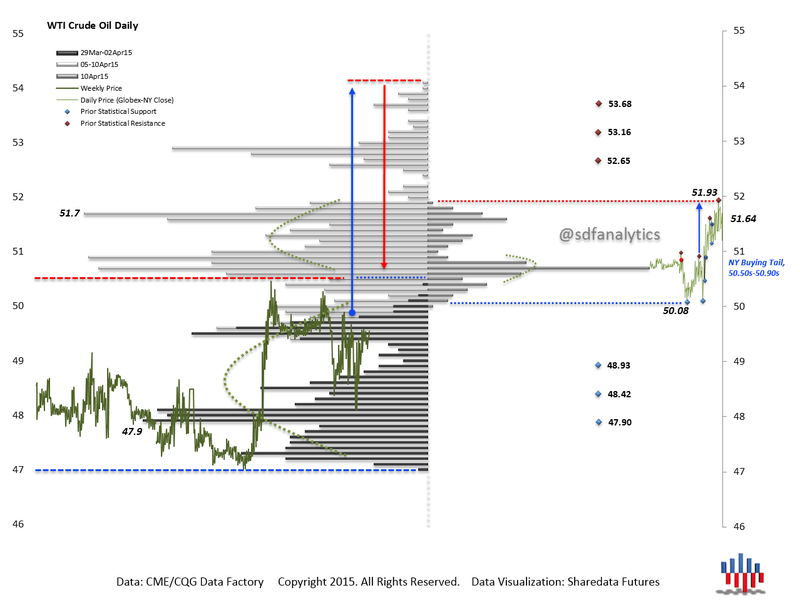 Focus into Mon’s auction on response to Key Structural Resistance, 51.50s-52s. 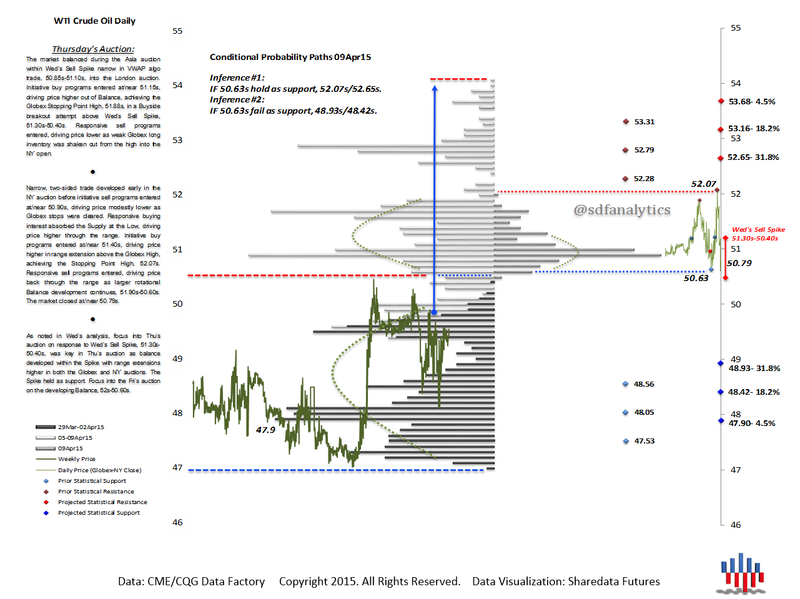 As noted in Thu’s analysis, focus in Fri’s auction on response to Thu’s Sell Spike was key as buying interest drove price aggressively higher, developing Balance, 49.50s-48.80s, through most of the Globex and NY auctions as end of the month position squaring occurred. 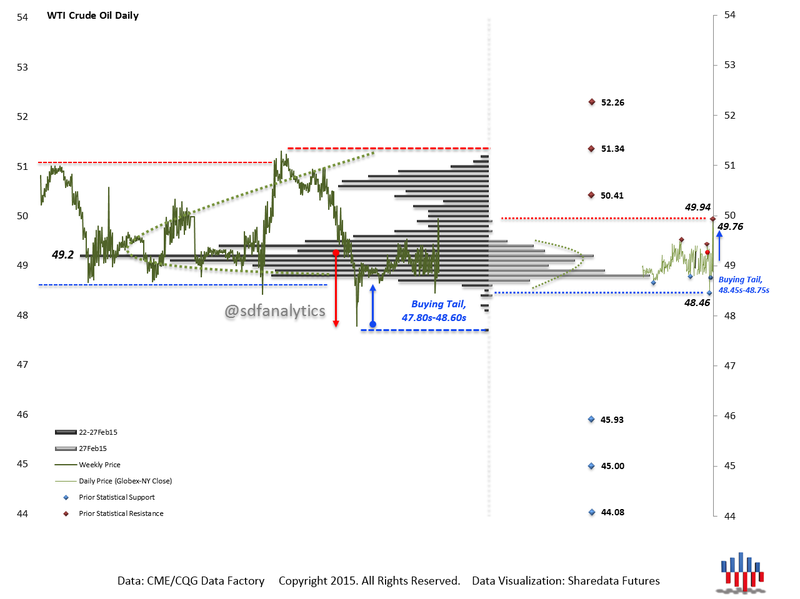 Initiative sell programs entered at/near 49.30s, driving price aggressively lower, encountering buying interest, rejecting the low, forming a Structural Buying Tail, 48.45s-48.75s. 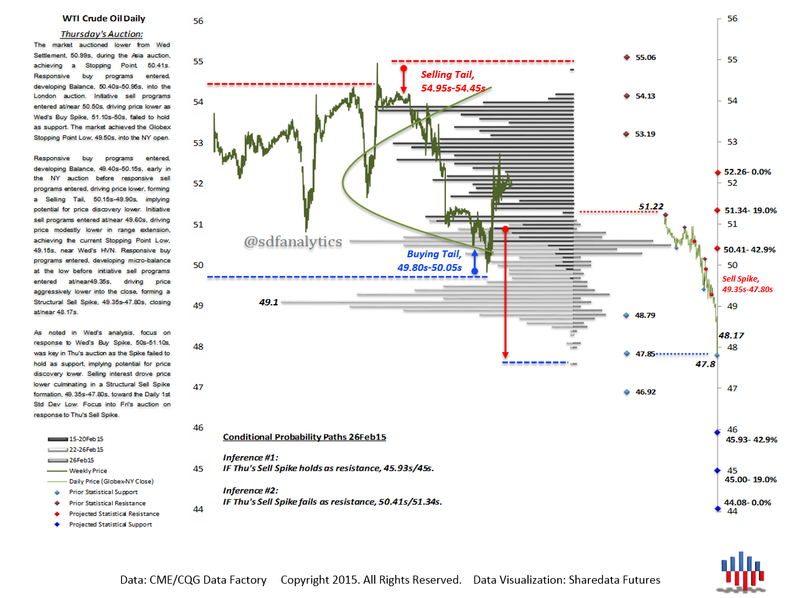 Focus on response to undefined resistance at/near 50s, into Mon’s auction.